The niqab, a face veil that only leaves the eyes uncovered, is prohibited in more and more countries. 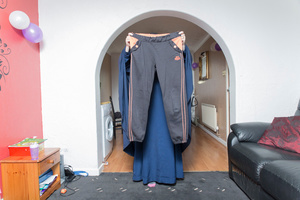 Many assumptions are made about women who choose to wear niqab. They are supposedly oppressed, intolerant and extremist. Humour and aesthetics? Don’t count on it. I investigated these assumptions, in collaboration with several women wearing niqab in The Netherlands and in the UK. 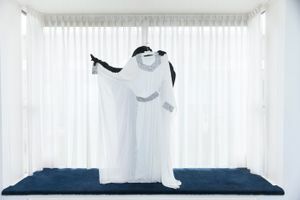 In this series the women show the clothes they wear when they are at home or go to a party without any men attending.